It’s only appropriate that after a season of absolute insanity, SLEEPY HOLLOW would conclude with an absolutely crazy-good season finale…and it does. At the risk of sounding like I’m overselling it, this is absolutely something you’re going to want to watch tonight and not have spoiled for you. SLEEPY HOLLOW is about to wrap up its first season, and while fans have been speculating about where the show will go, the stars have hinted viewers are in for a surprise. And while the actors don’t know too much of what is in store for the already-ordered season 2 — “We know bits and pieces, but…you never know what will change,” Beharie noted — the end of season 1 will put one of the show’s strongest relationships to the test. The end of SLEEPY HOLLOW’s first season is right around the corner, and at least we have two full hours to say a proper goodbye. 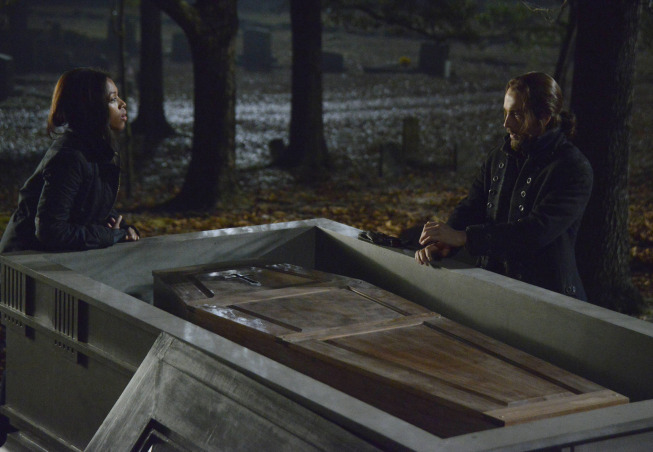 SLEEPY HOLLOW’s special two-hour finale airs Mondays at 8 PM on Fox.